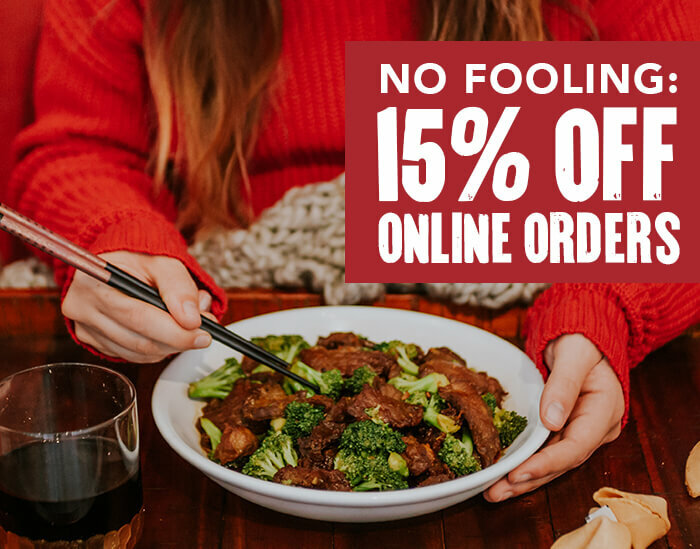 *Valid for 15% off online takeout orders only, 4/1/19 - 4/2/19 only, at participating P.F. Chang's restaurants excluding Hawaii, Puerto Rico, airport locations, and international locations. 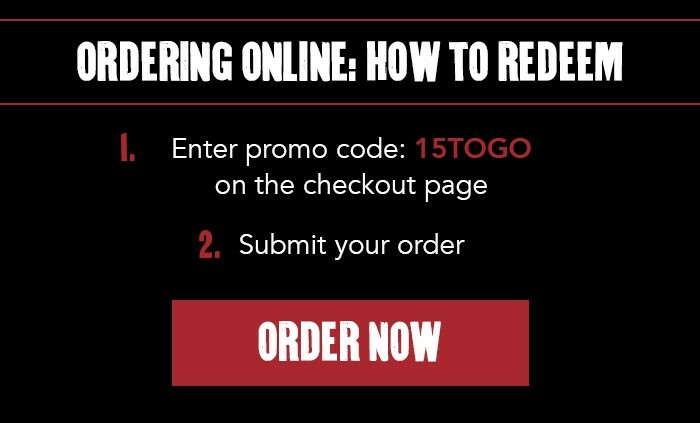 Excludes phone orders. Discount is applied pre-tax and does not include gratuities. $200 maximum discount. Not combinable with any other offers or rewards. Not valid for the purchase of gift cards, alcoholic beverages or Happy Hour menu items. Not valid for third-party delivery services. No cash value. Void where prohibited. **Exclusive menu available dine-in only 4/4/19 – 4/10/19 for P.F. 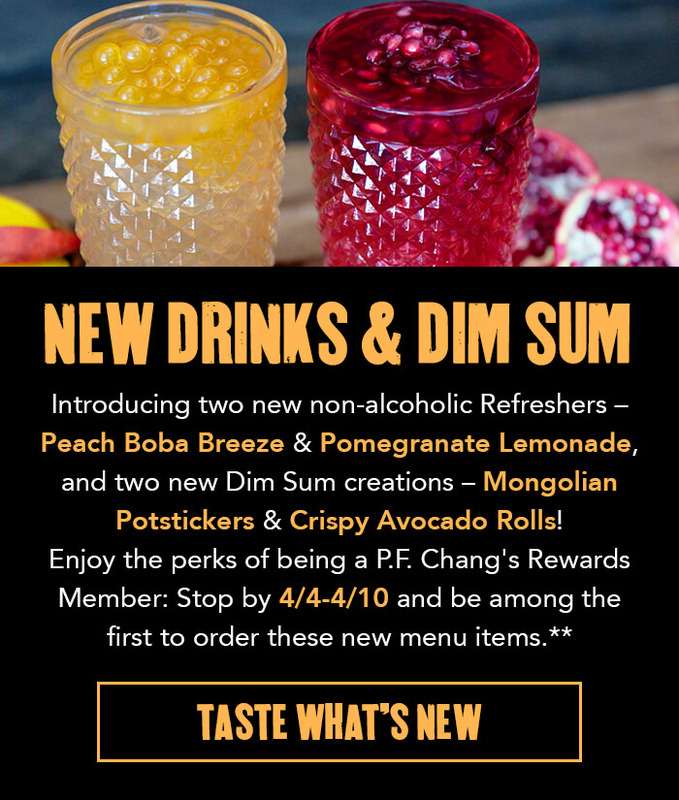 Chang's Rewards members at participating P.F. Chang's restaurants.